One of the biggest challenges in marketing can be defining a category for your new product or service. If you put your product in an existing category, you run the risk of not differentiating your offering in an already established market and being a “me too” solution. However, if you take the harder path of defining a new category to stand out and take a leadership position, it’s both expensive and certainly challenging. 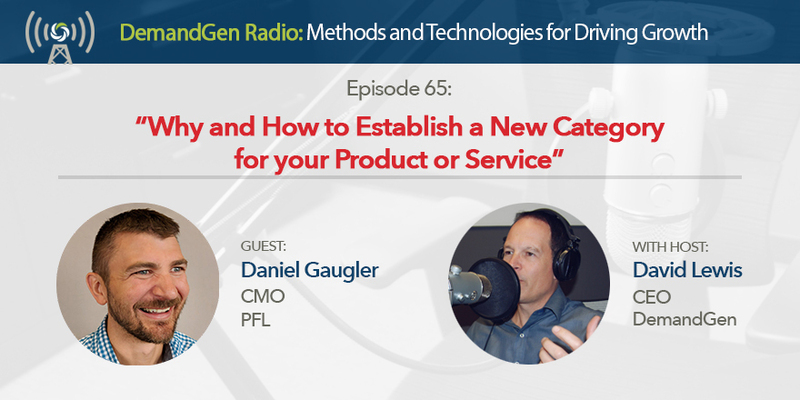 In this episode with Daniel Gaugler, CMO of PFL, we discuss why he established a new category for direct mail production and fulfillment called “Tactile Marketing” and the valuable lessons he learned in doing so.